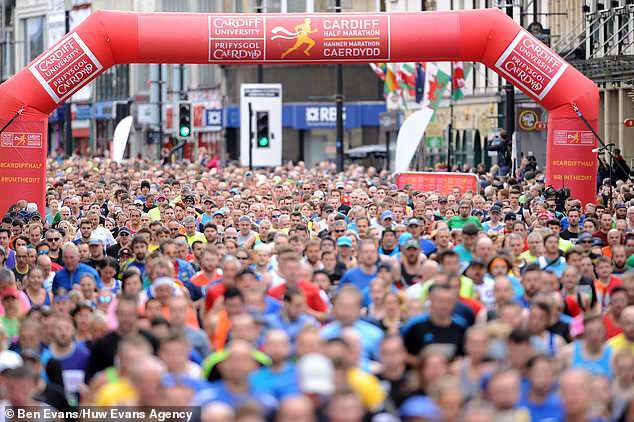 Suffering from cardiac arrest two young men dies ‘in front of their shocked families’ Moments after completing the Cardiff half marathon, two runners collapsed and died. One of the athletes was a guy in his thirties. Had been taken to hospital in front his one-year old kid and spouse. While the other was in his twenties. Finishing the Cardiff half-marathon race with his girlfriend who saw him fall right in front of her eyes. South Wales Police have verified both of them have died in the hospital. The event, organised by Run4Wales, started at Cardiff Castle at 10am today. Where 25,000 individuals attended and came on streets for this 15th anniversary. Jack Rayner from Australia won the men’s race with a period of 1:01:01 while Juliet Chekwel from Uganda was the winner in the women’s race with a period of 1:09:45. Tiaan Bosch has been the winner of wheelchair race this year in Cardiff half-marathon. Starting back in 2003 this Cardiff half-marathon is now the second largest half-marathon in the UK, first being the Great North Run.